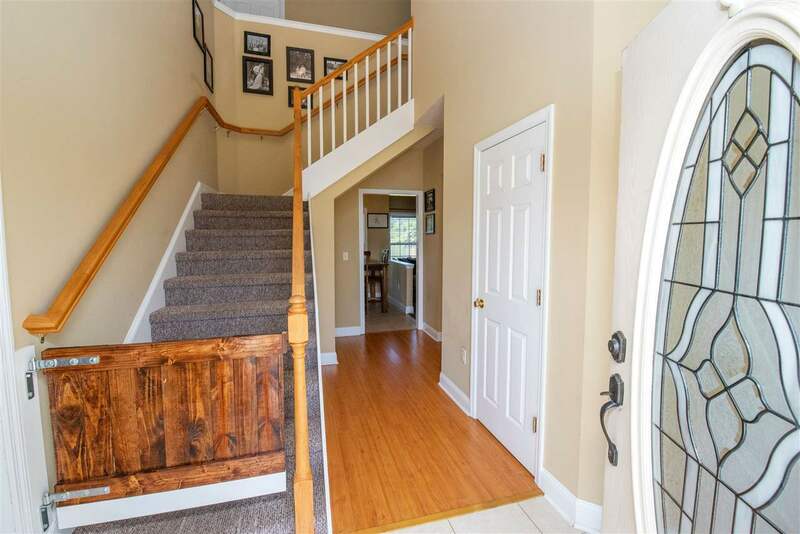 The moment you enter the drive, you will be wowed by this home. 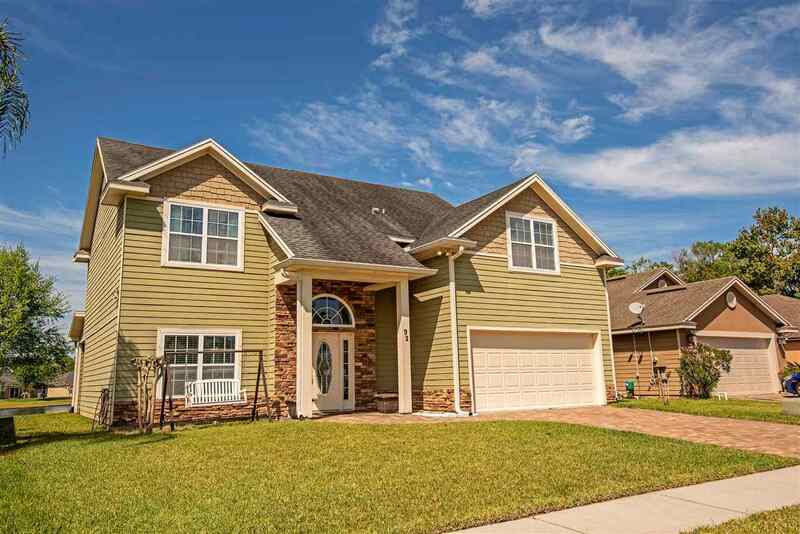 The exterior design of stone, siding and shakes makes an impressive statement. Continue through the home to the back yard to be further wowed! 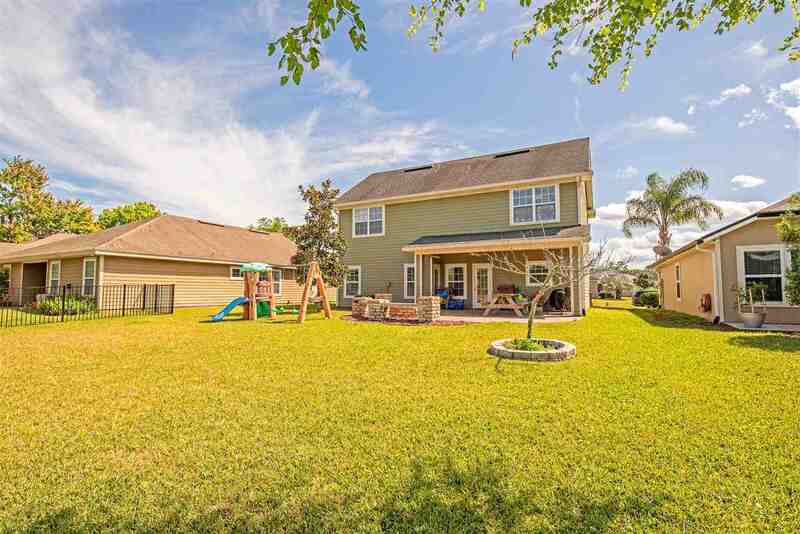 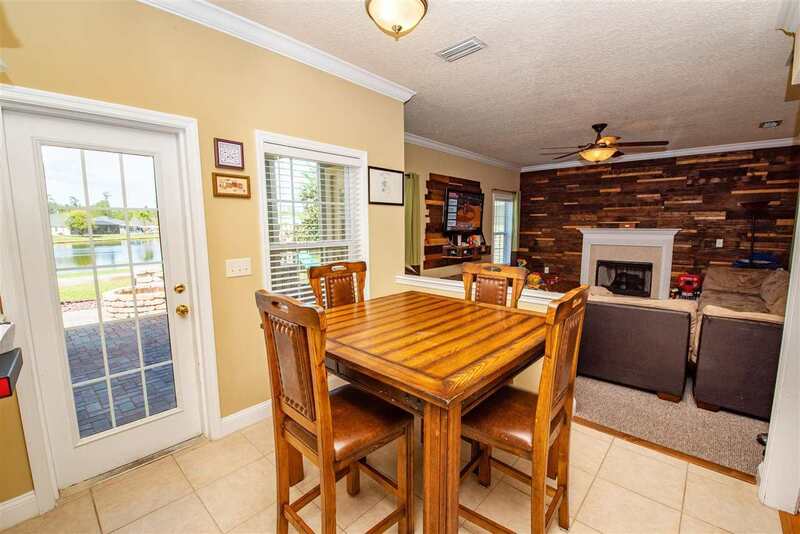 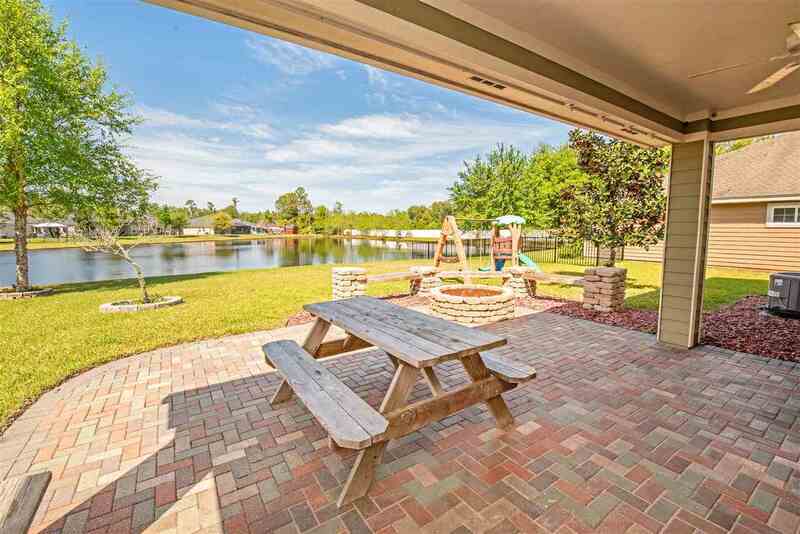 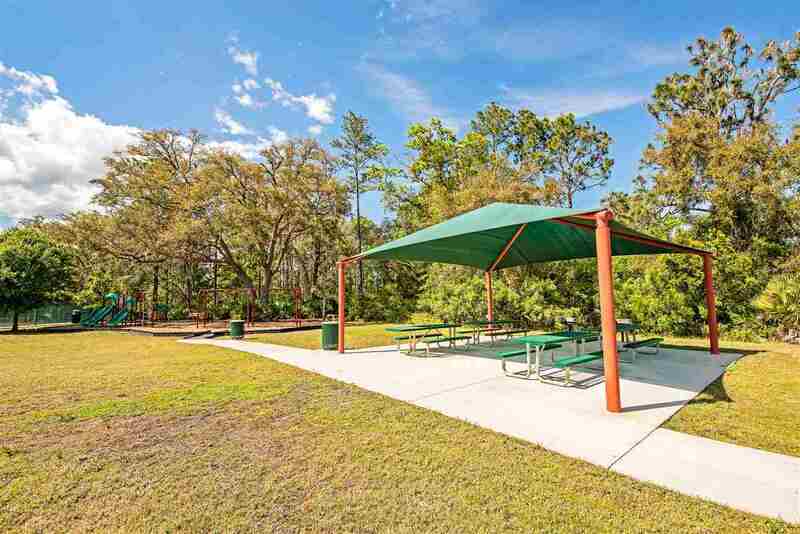 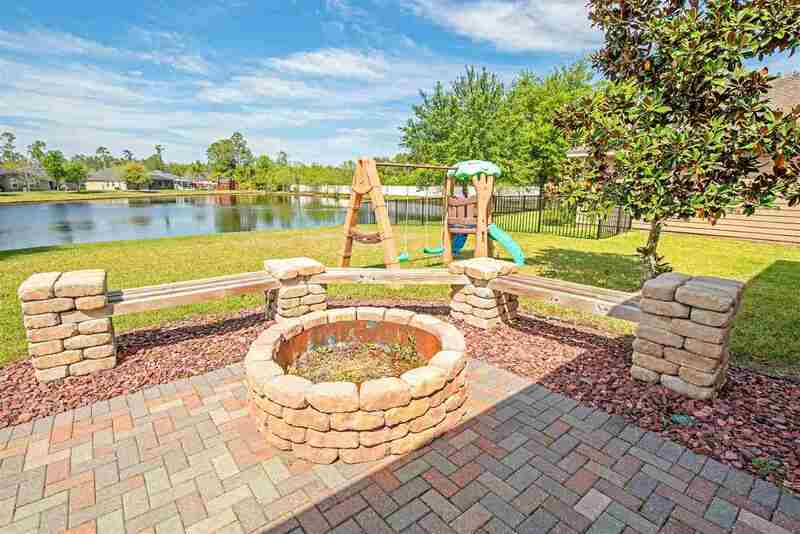 The expansive covered lanai, extended paver patio with fire pit and large back yard - all overlooking the lake will the your 'go to' spot to enjoy morning coffee, evening stargazing or having friends/family over for a BBQ. Drop a line to catch the big one or make s'mores at the firepit!, Inside this charming home you will find the living space enjoying gorgeous lake views. 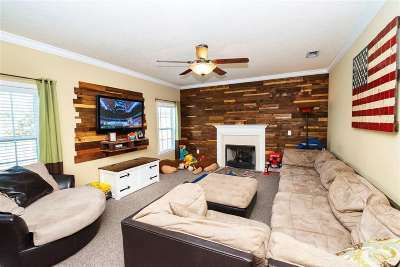 The fireplace and wood plank feature wall is the centerpiece of this room. 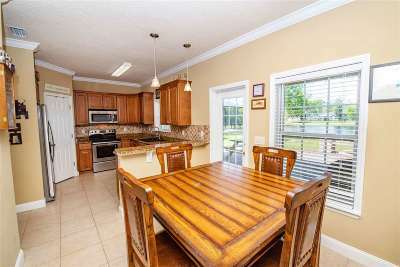 The kitchen is open to the living space allowing chefs to be part of all the fun. 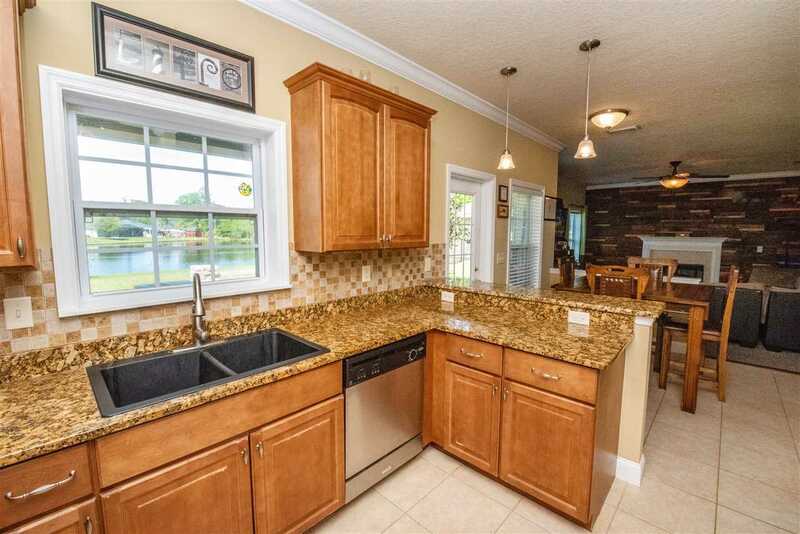 Chefs will be inspired to create while enjoy the lake view. 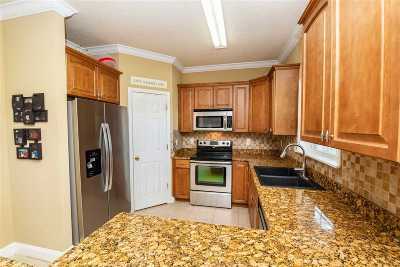 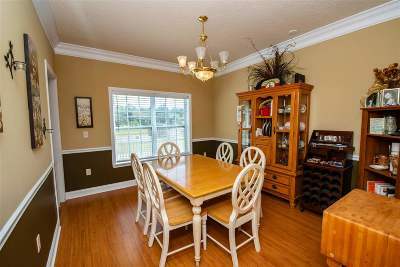 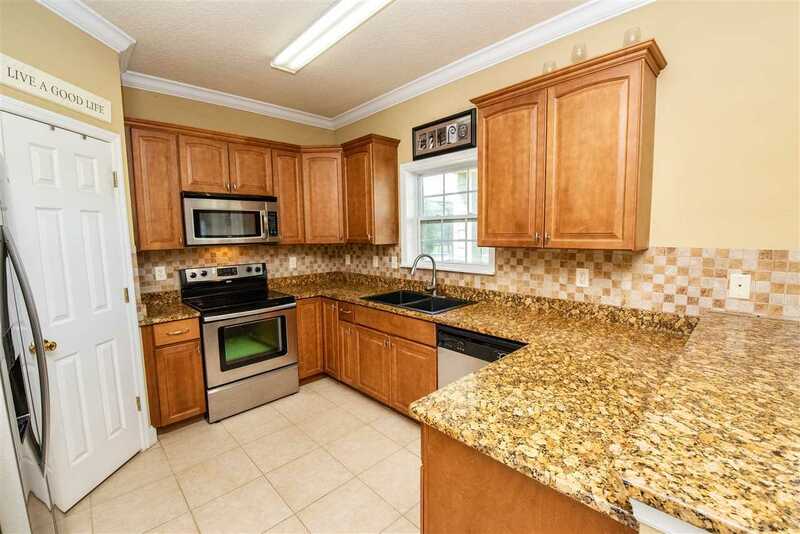 The formal dining room just off the kitchen is the perfect place to entertain. 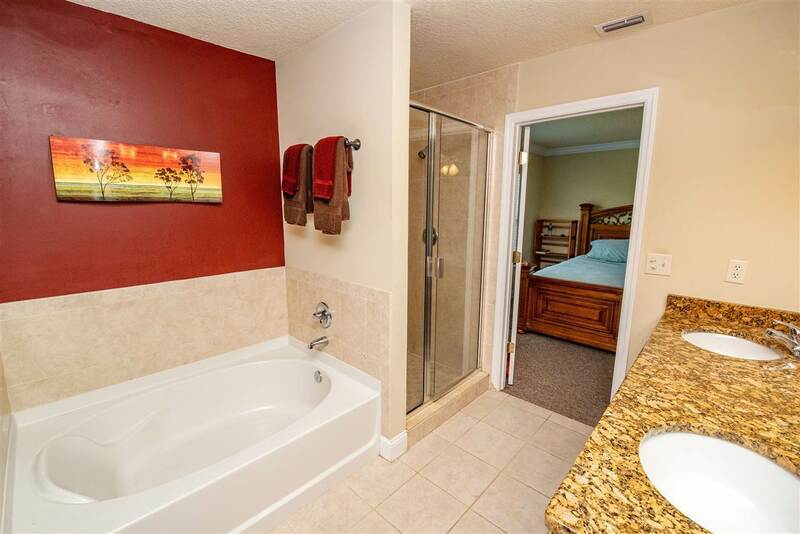 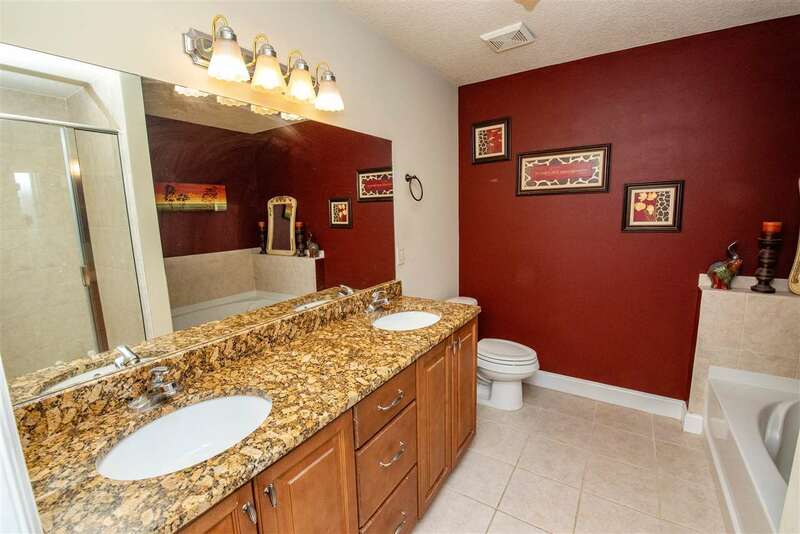 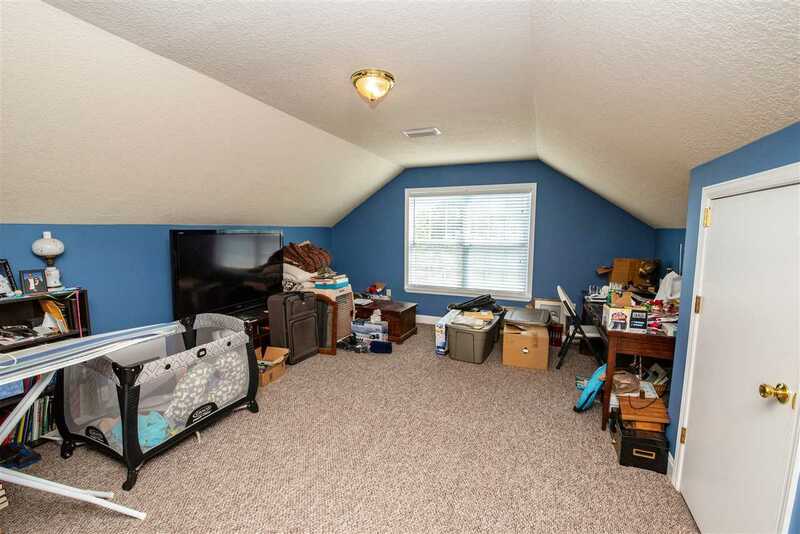 Wander up the stairs to find the owners retreat complete with ensuite featuring a soaker tub. 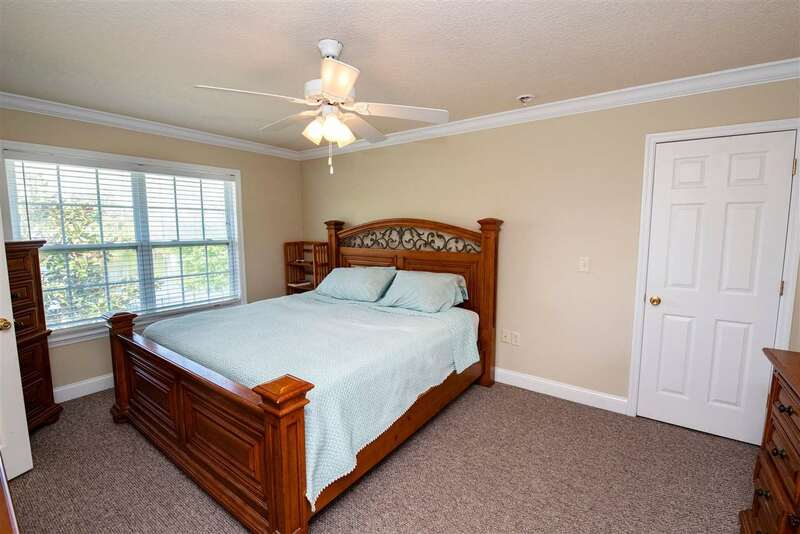 Also upstairs are two additional guest bedroom along with the finished BONUS space - perfect for whatever you can imagine it to be. 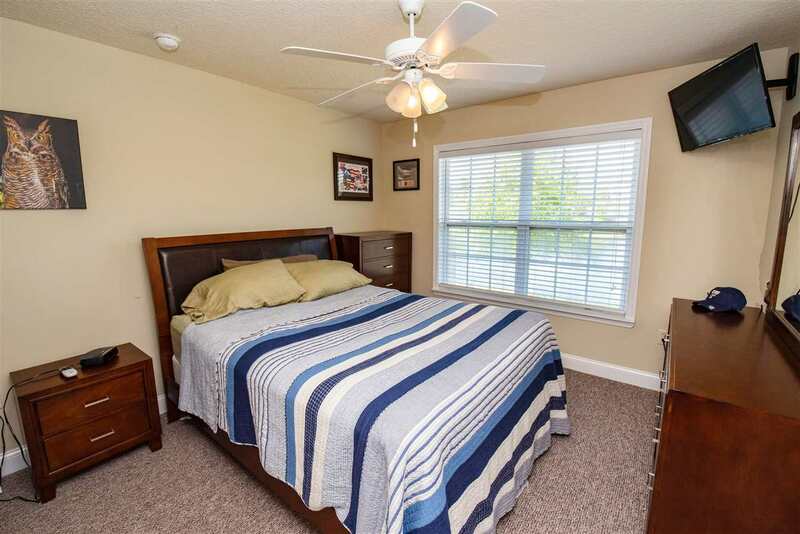 Whether you need a 4th bedroom, home office, workout area or man cave ~ the possibilities are endless! 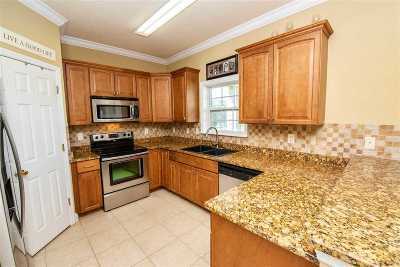 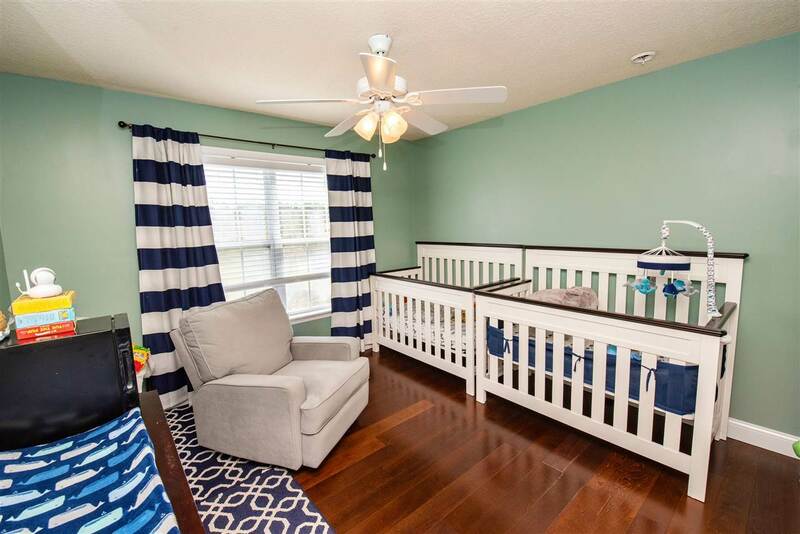 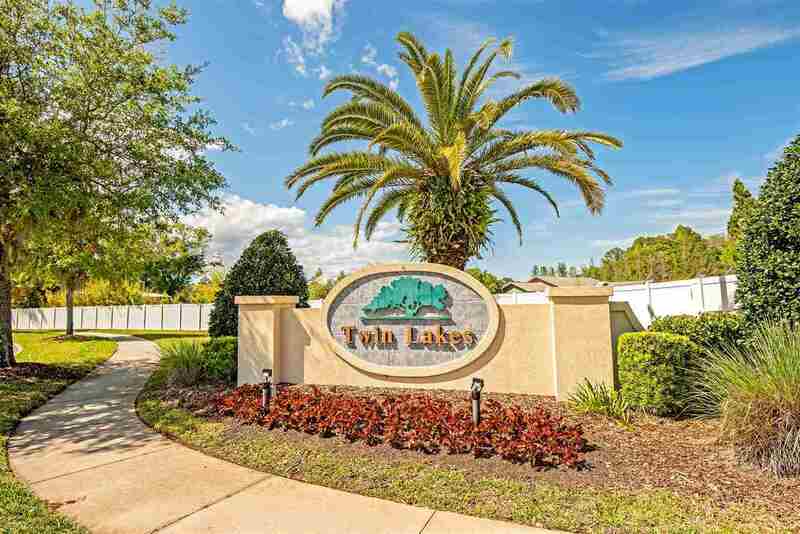 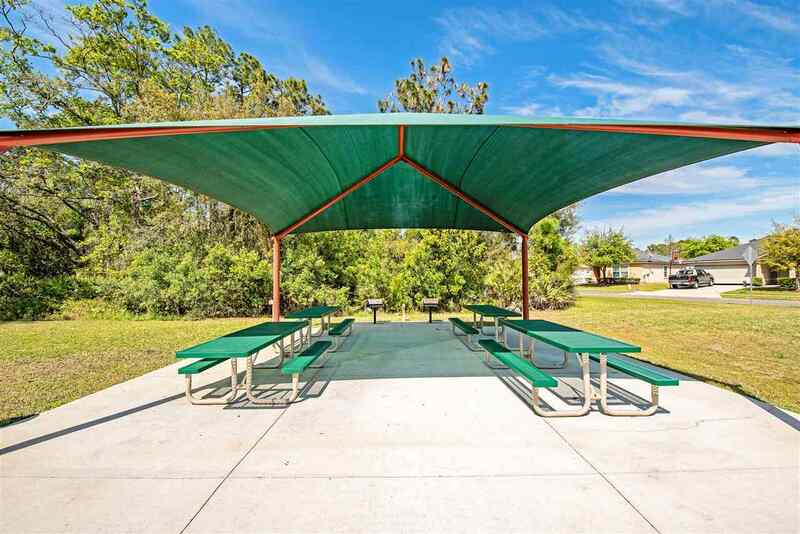 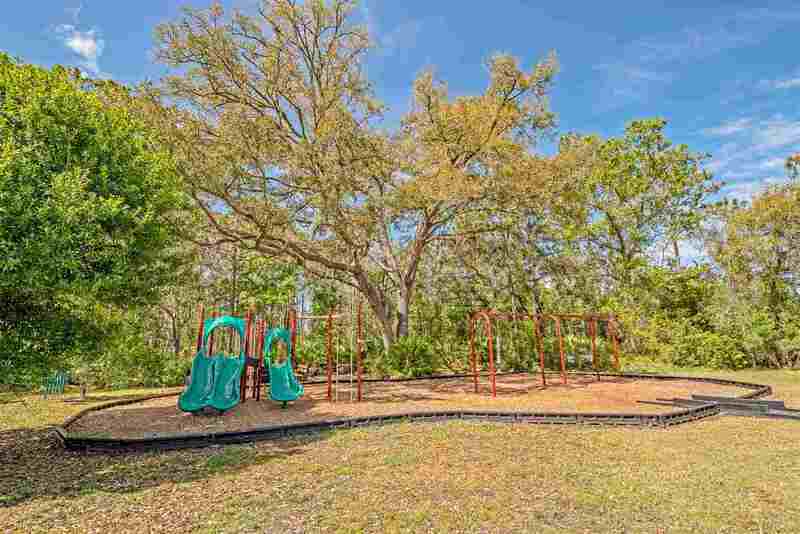 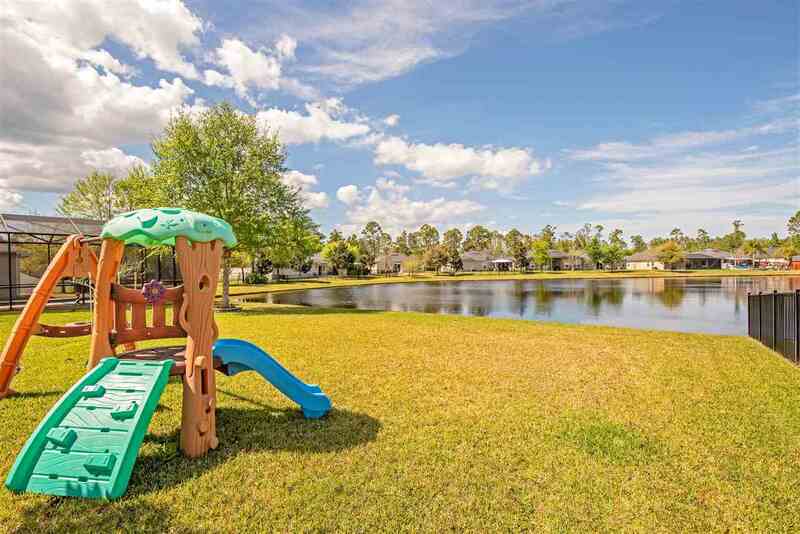 Twin Lakes is a boutique community close to everything that makes St. Augustine an amazing place to live: charming historic downtown, sandy white beaches and amazing schools. $3,000 toward Buyers closing cost with preferred lender, Seymoine Schmidt / FBC Mortgage.